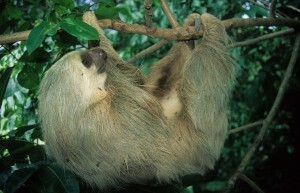 I studied sloths in Panama with Bryson Voirin and Niels Rattenborg. 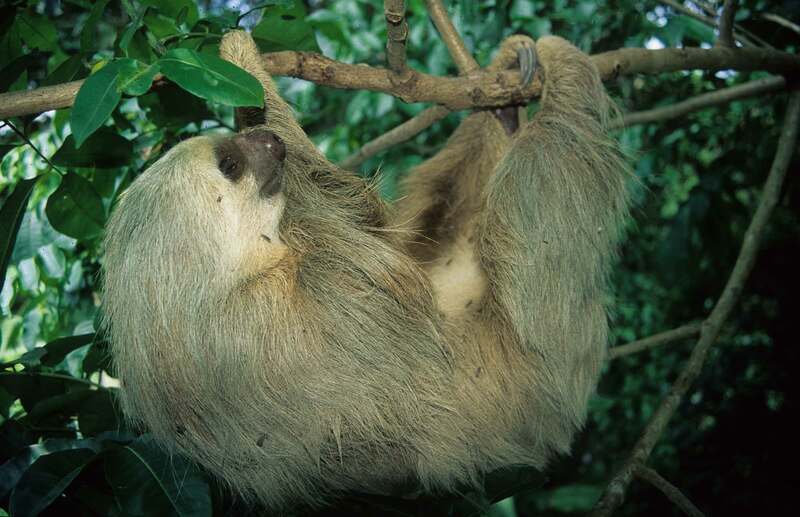 We used tiny EEG sensors to conduct the first ever study of sleep in a wild animal, finding that wild sloths sleep much less than those in captivity (9 vs. 16hrs/day). Why animals (including humans) sleep is one of the great biological mysteries of the world, and all comparative research before our work had used studies of animals in captivity. Our study also showed that this type of physiological research can be done on free ranging animals in the field. Speaking of great biological mysteries, we also mused on the possible explanations to explain why sloths climb to the ground once a week to defecate. Our earlier work showed how dangerous this could be. In one case we documented an owl that killed a sloth that we tracked as it climbed down to a toilet, in another case we filmed an ocelot killing a sloth it dragged from a low bush.